Daily Stories theme is all about simplicity, capability, and minimalistic design one can hardly ever forget. 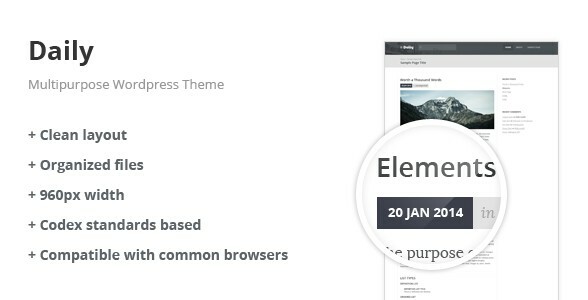 This theme is a powerful tool that allows bringing even the boldest ideas of yours to life. Created in accordance with the latest design trends, Daily Stories will be most appealing to younger generation. At the same time, its eye-catching and airy design will not leave any user with good taste cold. 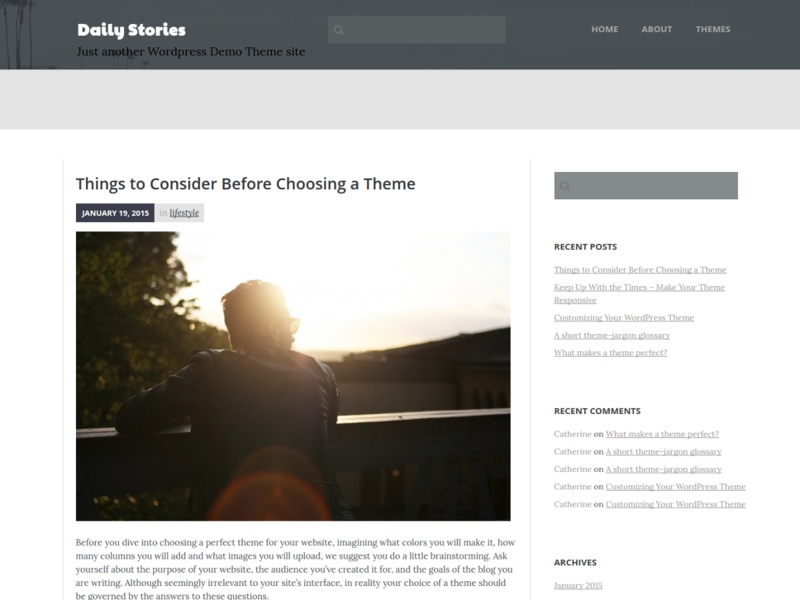 Apart from that, Daily Stories is an easy-to-use theme that comes packed with all the essential functionality. This theme can serve as a stylish apparel to any blog, business magazine, news website, entertainment website, celebrity news blog, movie, literature or public performance reviews and many more! Everything else used in this theme has been created by BestWebSoft, specifically for Daily Stories theme, and is distributed under GPL license. 2. Search for Daily Stories. To post thumbnails, we recommend using the image with the width equal to 752px. The Theme includes a standart Widget. The following widgets are shown by default: recent posts, recent comments, archives. How to display a featured image? You can do this in Posts section > Add new or edit the existing post > Set featured image. You can easily change background color through Admin UI (Dashboard): to do so, please use the select menu ‘Appearance > Customize > Colors > Background color’. * Bugfix: The text domain was changed to “daily-stories”. * Bugfix: $_GET[ ‘page’ ] excluded from using in functions.php. * Bugfix: A non-minified version of html5shiv.js was added. * Bugfix: Licence of bg_header.jpg was added. * Bugfix: bws_menu.php was removed from theme. * Bugfix: Location of the editor-style.css file was changed. * Release of Daily Stories theme.